The Maharaja is on the street. Armed with a begging bowl, he is being carted around on global roadshows in a bid to sell him to the one who offers the most coins. Hence, the Maharaja may be sold for a song, and loose change. It may be better to separately sell the various invaluable assets of Air India, rather than offer slices of the company as ‘going concerns’. Air India was built over decades with the sweat and blood of the people, the taxpayers’ money. It is the utmost responsibility of the government to get the best price for it. GORDON Gekko has emerged as one of those movie characters that some people love, but hate to love. The rest, of course, loathe him. The manipulative, blackmailing, conning, corrupt, in-your-face and unlawful takeover specialist does all the wrong things possible on Wall Street. He hustles managements, bustles stock traders, tussles competitors, and even susses loyalists. In the Hollywood flick, Wall Street (1987), Gekko’s name is forever intertwined with greed—money, more wealth, profits through any means. As the predator homes in on his corporate targets, which he buys at discounted prices and sells at obviously higher ones, Gekko unveils the rules of the unsavoury ‘jungle’ games in the computerised world of stock trading and brick-and-mortar boardrooms. They envelop issues related to politics, money, and philosophy. An ethical entrepreneur and a passionate policy maker may hate him, but she can learn valuable, profitable and long-lasting lessons from this master, but mad, genius. Ironically, this is true for a seller of family and crown jewels. For the leaves that you can take out from Gekko’s diary can hike your profits several-fold. For instance, if Gekko tells you that the sum of parts (of assets) can be greater than the whole, you should take heed. When the corporate carnivore says greed is good, you should be attentive. And when Gekko blames the managements for the problems that plague the corporate world, you need to look yourself at the mirror, rather than give furtive sideway glances. Past experience proves that several governments across the world have borrowed something or the other from Gekko. In the process, they have earned higher profits from the sale of state-owned assets and companies. Unfortunately, these basic tenets were ignored in the strategic sale of Air India. In this case, the Indian government was in an inexplicable hurry, inclined towards certain buyers, and inextricably aloof to profits. 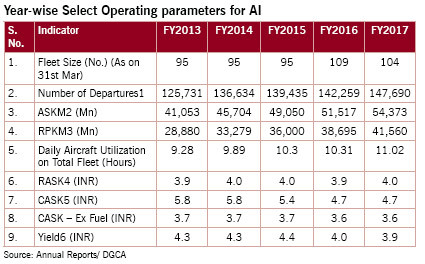 To understand what the government will do with Air India look at what it has proposed. As a first step, it has clubbed the businesses of the parent, Air India, and two of its subsidiaries, Air India Express (100%) and Air India SATS Airport Services (50%). According to the Preliminary Information Memorandum (PIM), the parent had an operating fleet of 115 aircraft (December 31, 2017), a network coverage of 93 destinations (54 domestic and 39 global), and almost 3,100 combined departures per week. 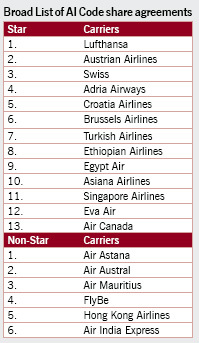 In addition, it offered 51 destinations through its “secondary network of code share operations… under 19 code share agreements with foreign carriers”. Air India Express is a “low-cost carrier” and provides “services between India and certain destinations in Middle East and South East Asia. With a fleet of 23 aircraft, it “operates around 555 departures per week connecting around 13 international destinations and around 16 domestic destinations”. 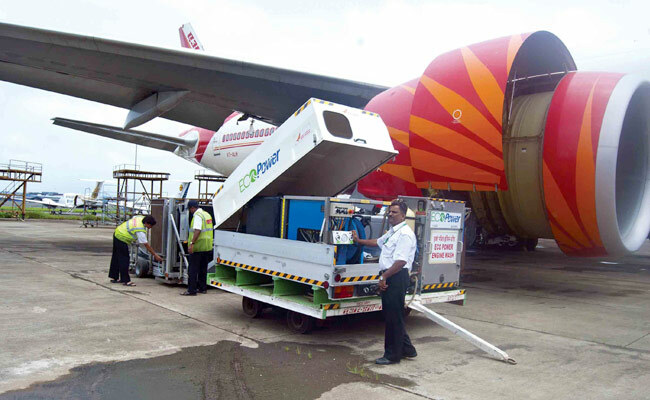 Air India SATS is 50:50 joint venture between Air India and Singapore’s SATS, and offers ground and cargo handling at five airports in five bigger cities—Bengaluru, Delhi, Hyderabad, Mangalore, and Trivandrum. INITIALLY, 76 per cent stake of the combined operations of these three entities will be sold in one go. They can be purchased by a single bidder, consortium, or even an entity formed by the existing employees of Air India. The other subsidiaries of Air India, 100% in Air India Engineering Services, 100% Air India Air Transport Services, 100% in Airline Allied Services, and 80.3% in Hotel Corporation, will be separated from the parent, and sold separately. The same will happen to most of the real estate owned by Air India. In a nutshell, Gekko plans to sell all the assets—planes, hangars, slots and routes—to separate buyers. For asset strippers like him—there are scores of them in real life—the sum of the parts of the underlying assets is much higher than the whole. Thus, it is always more profitable to sell them off individually, rather than attempt to run the company as a going concern. Gekko isn’t bothered about businesses or people, only in the profits. For obvious reasons, such predators are abhorred by certain business sections, and governments, which wish to save national assets and the interests of the workforce in specific cases. This explains why there is a raging debate in the UK, which opted for Brexit or to remain outside the European Union because of nationalistic mind set, on M&A asset-stripping. This followed deals like the Kraft’s Pounds 11.5 billion acquisition of British Cadbury. In retrospect, the takeover “was manipulated by foresighted techniques including asset-stripping… to dismantle UK companies”. But imagine yourself to be a seller, who is disposing off the assets built by the hard-earned monies of the country’s taxpayers. Isn’t it the owner’s right to take public interest into account and, hence, extract the last possible penny out of the pockets of the potential buyers? To be fair to the government, it claims that it is trying to achieve the same objective. This is why it wants to sell Air India in a piecemeal fashion, Gekko-style, as several entities, and simultaneously find buyers for the properties. SADLY, the government is going about it in the wrong way. The entities—airline operations, maintenance and repair works, and hotels and air kitchen services—are being sold as separate “running concerns”, and not as separate assets. It now seems—and this can change in the future—only real estate will be sold in the true Gekko-style. Remember Gordon Gekko wanted to strip Bluestar, not run or manage it. This may have been the best way to extricate the maximum profits out of the strategic sale of Air India. The PIM itself indicates that this may be true given the intrinsic value of the individual assets. 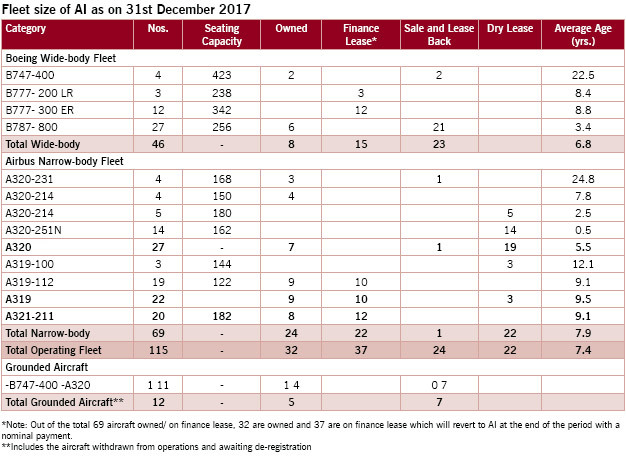 Just Air India and Air India Express, or part of the ‘Combined Airline’ up for sale, “owns 62 per cent, including finance lease, of its total fleet, in comparison to other Indian carriers who own very low number of aircraft, the highest being 28%”. In addition, two Boeing 747-400 and one Airbus 320 are in the name of the lessor “but no lease rental are payable since the termination sum has already been paid”. Their title is transferable in the name of the new entity on payment of $1. Clearly, the market prices of most of the fleet will be attractive, and it may be a good idea to find a separate buyer, or buyers, for the planes. The same is true with the slots, routes and bilateral rights (i.e. the landing rights inked by India with other countries). The slots and bilateral are currently underutilized and, hence, offer immense scope for future revenues and profits. As the PIM explains, “Combined Airline (i.e. up for sale) has slots at top domestic airports which are growth constrained due to airport infrastructure issues…. 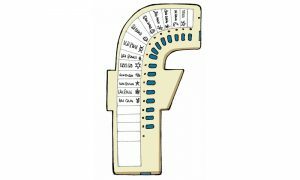 Slots can be utilized to… develop hub for international operations.” Obviously, these can be independently lucrative. Let’s not forget the value and worth of Air India’s brand, goodwill and reputation. Although no one has put a figure to it, it has to be huge. The PIM hints at this: “Air India enjoys enormous goodwill and reputation worldwide and in India. The brand comprising, inter alia, the Maharaja logo, Fly-Well Air India logo, Flying Swan-Air logo, and Sun logo are all registered trademarks in India.” If sold separately, just these logos, along with goodwill and intangible brand value, can fetch thousands of crores of rupees. Add Air India ‘Star Alliance’ status, which is extremely tough to get, to the goodwill, and the state-owned airline will fetch a higher price. Maybe there is indeed a case to sell Air India, and its several subsidiaries, as piecemeal assets, and not as separate going concerns. Even if the government wanted to sell the separate entities of Air India as running concerns, there were better ways to do so. At present, the mix-and-matches of the entities don’t make sense. Consider the businesses included in the Combined Airline that’ll be sold first. 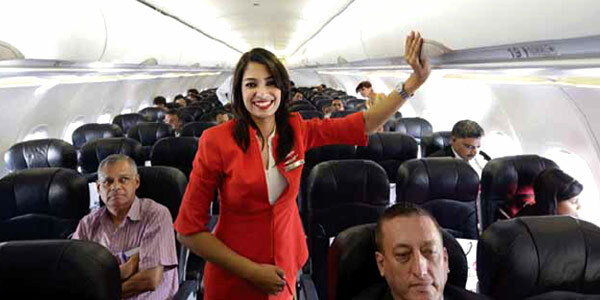 They include the aircraft and routes of Air India and Airline Express, but not those of Airline Allied Services, a 100% subsidiary, which connects Tier II and III cities with the metro hubs. It would be logical to sell all the planes and routes, and slots and bilateral rights in one go, as a single entity, to hike valuations. THE 1987 Hollywood flick, Wall Street, has two protagonists, not surprisingly men, who are the Masters of the (financial) Universe. Gordon Gekko (Michael Douglas), a corporate raider of the worst kind. Bud Fox (Charlie Sheen), an ambitious stock broker, who is willing to learn new ways to break the rules to march forward on Wall Street. One is old, experienced and brutal, with a single-minded obsession, greed. The other is young, who is willing to nibble away at the ‘good’ things in life, wealth, women, wine, and power. Gekko is the quintessential corporate carnivore, a ruthless raider. His only business is to make money, any which ways he can, even if he has to skirt, or even break, the laws. He is a predator, who believes in jungle rules, i.e. live and let die. He resorts to blackmail (greenmail), i.e. force opponents to pay a premium for his shares if they want to wish him away. He breaks up, and strips the assets, of the companies he takes over, if the intrinsic value of the assets is more than the future profitability of the businesses. In comparison, Fox is not a holy cow, but he hasn’t reached the heights of the corrupt stature of his mentor-philosopher-teacher. He twists laws, but his heart is also into running companies, and making them profitable by turning them around. He cares for the employees, who spent years and decades to manage the businesses. He genuinely believes that change in managements, and better global practices can yield results, and make America Inc better, efficient and profitable. He has Business 2.0 vision. Clearly, they work beautifully for a while, but inevitably clash in the end. In fact, Fox helps Gekko to get the support of the unions at Bluestar Airline, the latter’s next target, because his father has worked with the company for decades. The protégé is convinced that his godfather is genuinely interested to turn around the fortunes of the ailing airline. So, when Fox learns, inadvertently, that Gekko wants to break Bluestar Airline, and sell the individual assets (planes, hangars, slots and routes) to separate buyers, he is sad, mad, and seemingly-helpless. It’s game, set, and match. Or is it? Watch the movie to see how this corporate circus unfolds. You will be surprised. And yes, there is a new twist in the end. A crucial component of the Combined Airline that will put on the block first includes the 50% interest in Air India SATS, which is into ground and cargo handling services at five airports. However, another Air India’s subsidiary, Air India Air Transport Services, is also involved in the same business, and at 69 additional airports. But the latter hasn’t been included as a part of the deal. 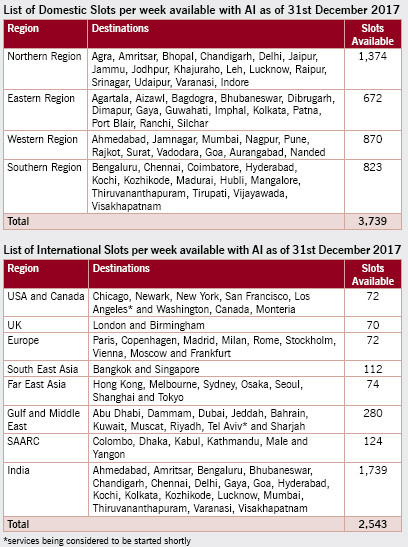 Any seller would have combined the operations of Air India SATS in the five main cities, and the handling functions of the other 69 airports, and sold them together, but separate from the airline to increase competition. There was a better solution. According to the PIM, “SATS is a leading provider of food solutions and gateway services with over 60 years of ground handling and catering experience.” The government could have combined the operations of Air India SATS, Air India Air Transport Services and the hotel-and-kitchen businesses of Hotel Corporation, and sold them together as a going concern. Thus, the government could have sold the airline businesses and the ones related to handling and catering separately. Yet another smartest way: the government should have clubbed the airline, handling, and catering/hotel operations together and sold them in one go. Any of the above strategies could have worked wonders in terms of returns. If greed drives the profitable desire of a buyer, who wishes to resell the assets, it should be a compulsory part of the willing seller’s strategy. This is especially true for a seller like a government that has to safeguard public assets (state-owned companies and natural resources). Even a seller of small things takes steps to attract buyers. Why shouldn’t a government do it? Couldn’t Air India be presented in a more attractive fashion to potential buyers? For example, one of the most financially repulsive aspects of Air India, and its subsidiaries, is the huge debt. 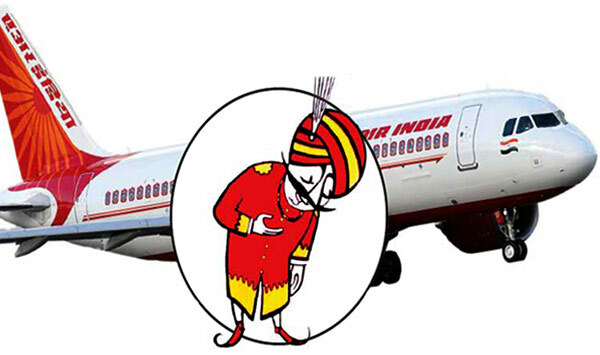 As per the PIM, Air India’s non-current and current liabilities, including long-term loans and short-term loans, were Rs. 65,800 crore in 2016-17, of which the debt component was over Rs. 48,800 crore. These figures exclude the liabilities of the two subsidiaries, Air India Express, and Air India SATS, which are part of the Combined Airline. Another fact is that Air India, Air India Express, and Air India SATS earn operating profits. Although Air India incurred a massive post-tax annual loss of Rs. 5,765 crore in 2016-17, surprisingly, its profit before interest and tax was a positive Rs. 486.5 crore. Only a debilitating financial (interest) cost of Rs. 4,235.9 crore resulted in a net loss. Air India Express and Air India SATS earned a net profit of Rs. 296.7 crore and Rs. 66.1 crore, respectively. Obviously, the sale price of the Combined Airline would zoom if the government took out the debt out of it. Experts argue that the difference in valuation between debt-ridden Combined Airline and debt-free entity would be more than enough to repay the debt and still be left with a huge surplus. However, it seems that the government’s objective was to get “rid” of a part of the huge debt, along with some of the crucial businesses. This is evident from the PIM. 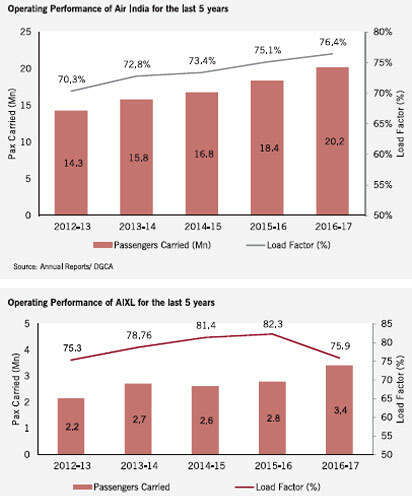 “The existing debt and liabilities of AI (Air India) and AIXL (Air India Express) as on March 31, 2017, are being reallocated and it is expected that debt and liabilities, including net current liabilities of Rs. 88,160 million (8,816 crore), aggregating to Rs. 333,920 million (33,392 crore) with remain with AI and AIXL. This number shall be further adjusted to account for material business developments post March 31, 2017, for instance purchases/delivery of aircraft etc.” Hence, slightly less than half the liabilities were transferred to the Combined Airline, which was put on the block. A depressing feeling that Air India’s privatisation is deliberately or otherwise structured to favour buyers can be gauged from other parameters in the PIM. Let’s see how the government has determined the transfer of a few properties as a part of the initial strategic sale. According to the PIM, 21.5 acres at Delhi and Mumbai airports will remain with the new entity. This includes LMD Hangar (Mumbai), Hangar No. 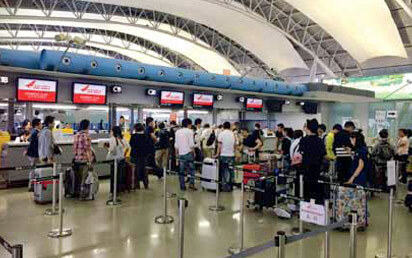 4 (Delhi), Air India Complex (Santa Cruz, Mumbai), and Building Complex, Delhi Airport. Although Air India’s corporate office (Airlines House) in Central Delhi will not be a part of the sale, the new buyer will have the right to use it. What is strange is really the clause related to the ‘period’ of usage of these properties. The PIM states that fixed assets identified as “core”, or the 21.5 acres, can be used by the new owner for “a period of two years or more”. She will also be entitled to the “right of use of the corporate office in New Delhi (Airlines House) for a period of two years or more”. Brand and goodwill: PIM states, “Air India enjoys enormous goodwill and reputation worldwide and in India. The brand comprising, inter alia, the Maharaja logo, Fly-Well Air India logo, Flying Swan-Air India logo and Sun logo, are all registered trademarks. The trademark application for ‘Air India’ in logo form is presently accepted and advertised in the Trademarks Journal and will be registered in due course”; Air India’s brand value is unmatched given its existence for several decades. Real estate: According to the 2016-17 balance sheet, Air India owns fixed assets (land and buildings) worth over Rs 9,000 crore, whose market value will be a minimum five times more; 21.5 acres of land and building will be transferred to the Combined Airline for use for two years and above; Combined Airline will not get the corporate office in downtown Delhi, but can use it for two years and more. Just to remind readers, VSNL was sold to the Tata Group in early 2002. Prior to the sale, the telecom monopoly had excess cash and 770 acre of land, most of it in prime locations. The government rightly decided that such liquid assets should be taken out of the company before being put on the auction block. So, the government paid a huge dividend to itself to reduce cash, and decided to separate the 770 acres, whose entire proceeds would go to it. It was perfect in theory. In practice, though, there was still too much cash with the sold VSNL and, post-sale, the 770 acres continued to be owned by the company, i.e. the new owner. From 2002, 16 years have gone by. VSNL, Tata Group, and the various agencies of the several governments since then are still arguing about how to separate the land from the company. Certain sections of government blame the Tatas who, in turn, blame other government departments, and the merry-go-round continues. Vague clauses like the owner can use properties for “two years or more” are sure to invite similar problems in the case of Air India. All the properties that are being clubbed into the Combined Airline are prime and crucial, and have enormous price tags. They may be sold for free. In the recent past, sadly, Air India has continuously bungled with real estate deals, which were allowed by the government. Let’s look at some of the properties that were auctioned, and the prices that they fetched. A 1-acre property in Coimbatore was sold to National Buildings Construction for Rs. 20 crore. Two years later, in February 2018, a 13-acre property in a more expensive Chennai (Mount Road) was sold for a mere Rs. 97 crore. The latter area was 13 times larger, and its price just five times higher. The Chennai deal was inked with the external affairs ministry. Sources in Air India maintain that the low price in Chennai was due to a slump in the realty sector. Insiders contend that it was a government-to-government transaction that was deliberately understated. Even when Air India sold its properties to private players, which requires Cabinet sanctions, the prices were low and disappointing. For example, six flats on Mumbai’s posh Peddar Road were sold for a mere Rs. 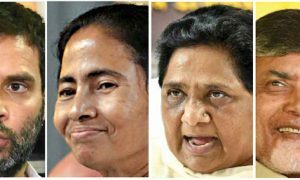 22 crore each. There are two aspects to this sale. The six flats were sold in two batches of four and two. In both cases, the prices were the same—Rs. 88 crore for the first group, and Rs. 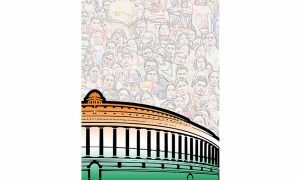 44 crore for the second, or average of Rs. 22 crore. This definitely smells, if not stinks, of a cartel in operation, and either a deliberate or careless attitude on part of the seller not to notice it. To give another context, Peddar Road is one of the main roads in Mumbai, and lies parallel to Altamount Road, which houses Mukesh Ambani flashy Antila, speculated to be most expensive real estate in the world after Buckingham Palace. Some of the properties in Altamount Road would fetch higher prices than what Air India got for its Peddar Road flats. Other deals too indicate the actions of cartel(s). For the past several years, Air India has tried to sell 14 apartments at Mumbai’s Pali Hill, another post and expensive locality. The auctions were postponed a few times because the bids didn’t cross the reserve price of Rs. 200 crore. Sources contend that one of the highest bids was Rs. 150 crore by a top Bollywood actor. ACCORDING to real estate experts, the 14 apartments are worth Rs. 5,000 crore. However, several reasons are put forth to suggest lower prices. One of them is that the apartments fall under the coastal regulation zone. If true, it can easily be corrected through discussions with the municipal bodies. If the flats at Pali Hill are sold cheap, similar properties in Delhi (airline colony at Vasant Vihar, and office at Baba Kharak Singh Marg), and Hong Kong are likely to go under the hammer at ridiculously-low prices in the near future. The fact is that the way Air India’s non-core fixed assets, including land and buildings, are sold in the near future will be critical to determine whether the government can maximize its profits. As on March 31, 2017, the gross value of “land and buildings” of Air India, i.e. only the parent, was almost Rs. 9,300 crore. Even a common man on the street can figure out that they can easily fetch, if sold smartly, a minimum five times this amount. It will be enough to repay the existing long- and short-term loans of Air India. If the government can whip up interest among the potential buyers, and bring in healthy competition, the final prices can be higher. Clearly, there is a huge locked-in wealth in the assets of Air India, and its various subsidiaries. It’s now for the government to unlock them in a manner that can fetch tens of thousands of crore of rupees. Unfortunately, the manner in which the strategic sale of the Combined Airline is being pursued as a first step, the future seems bleak. Air India seems to be on the path of value destruction, rather than value creation. Gordon Gekko would be turning in his grave, if he isn’t alive. He could have done this right. The government can too, if it so wishes.